Magnolia Cemetery in Augusta is one of the most historic burial grounds in Georgia. Although it was not officially designated as a cemetery until 1818, the oldest marked grave at Magnolia is that of J. Hartford Montgomery who died on December 24, 1800. Seven noted Confederate Generals rest there in addition to veterans of the American Revolution, War of 1812, Seminole, Mexican and Civil Wars. Those who served in America's more recent conflicts have also found rest here. The land where Magnolia Cemetery is located was at one time part of a plantation. 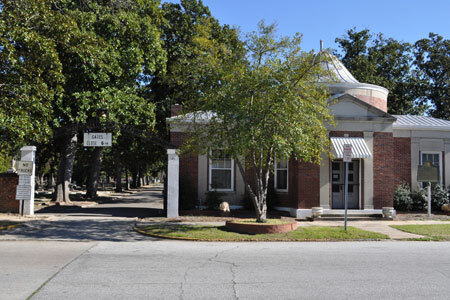 The Academy of Richmond County owned the first two blocks which they sold to the City Council of Augusta for $800 in 1817. The cemetery contains over 60 acres. In the cemetery, you will find five Jewish cemeteries and one Greek cemetery. There is also a Masonic Lodge section and several church sections located within this one cemetery.